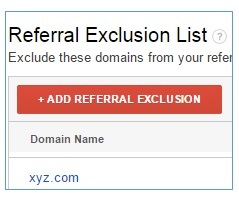 This article is the 4th in the series of cross domain tracking. The first article was: Google & Universal Analytics Cookies where I explained cookies in great detail. Knowledge of cookies help a lot in understanding and troubleshooting cross domain tracking issues. 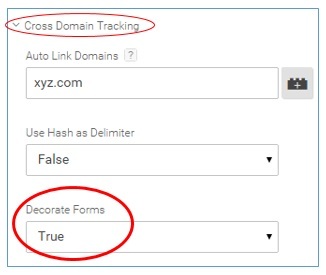 In the present article I am going to explain implementing cross domain tracking via GTM. I won’t be able to explain the very basics of cross domain tracking here and assume that you understand linker parameter, allowLinker, ‘auto’ and other cross domain tracking jargon (explained in great detail in the articles above). Like any other GTM implementation, basic understanding of corresponding standard GA implementation is expected and that is why I never introduce any concept/topic via GTM. 2) Auto Link Domains (analytics.js only). I am going to explain implementing cross domain tracking in GTM via ‘Auto Link Domains’. I won’t cover cross domain tracking via ‘decorate link’ and ‘decorate form’ tags as they are required only when you are using old Google Analytics and if you are still using old Google Analytics then I would strongly urge you to upgrade to Universal Analytics instead of trying to implement cross domain tracking for the old GA.
For the purpose of explaining the cross domain tracking concept in GTM, let us suppose we want to implement cross domain tracking between two primary domains: abc.com (the source domain) and xyz.com (the destination domain) via ‘Auto Link Domains’. Both of these domains contain different Universal Analytics Tracking code and are treated as completely different websites. We are creating a copy here in order to maintain one unfiltered view. This view adds host name (domain name) to the request URI. 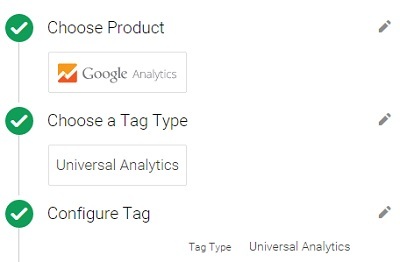 Note: I am using Google Tag Manager V2 (the latest version of GTM). Step-5: Click on the ‘Save Tag’ button. Step-6: Create a new version of the container, test it and then publish it. Step-3: Apply the custom advanced filter to the new view which append domain name to the request URI. By default Universal Analytics can track traffic across all sub-domains of your website. 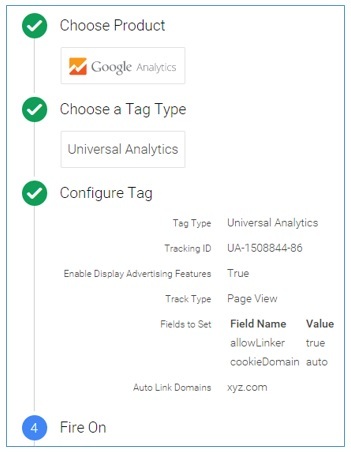 However you still need to configure your GA and GTM to make sure that you can distinguish the traffic from different domains in analytics reports. Step-1: Use the GTM container code of abc.com on all of the pages of music.abc.com. 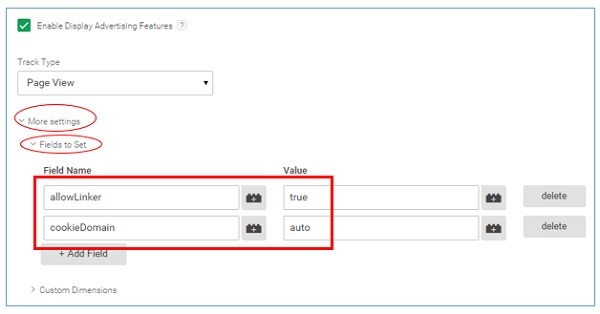 So you will have one GTM account for managing tags on both primary domain and its sub-domain(s). 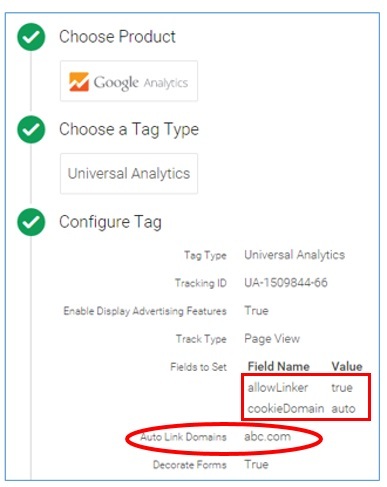 Here we are using ‘auto’ configuration parameter while creating a tracking object so that Google Analytics automatically set its cookie to the highest level domain possible. 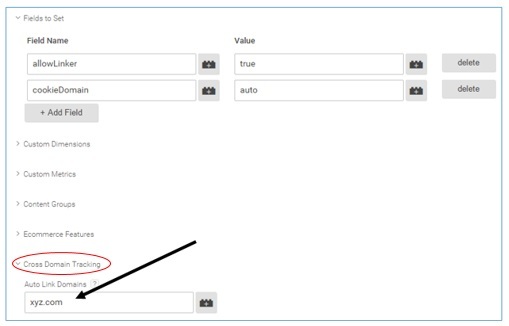 Note: Without using the ‘auto’ configuration parameter, you cross domain tracking will not work whether you implement cross domain tracking between primary domain and its sub-domains or between two or more different primary domains. 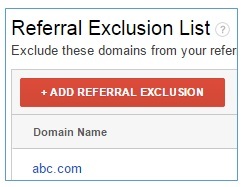 Step-4: Add ‘www.abc.com’ in the ‘referral exclusion’ list. Step-4: Add ‘music.abc.com’ in the ‘referral exclusion’ list.